The idea of repeating a show is not necessarily unattractive to me. Yet there are so many amazing things we can focus on, I would much prefer that if we were to pay homage to a genre more than once, that we dig even deeper. That being said, the idea of a simple 'Tunes For 'Toons, Two was just not doing it for me. I met with Dan Goldmark, Kate (CYO GM) and Dave Young (he teaches in the Cleveland Public Schools are part of our outreach program). Dan and I tossed some ideas around; I was telling him how interested I was in orchestras in cartoons - orchestras that are featured in cartoons. Not Bugs necessarily, but even earlier than that, and modern cartoons , with all the cool Michael Giacchino Pixar shorts and full features. We sat in the office at Case University watching different cartoons on his computer and suddenly the program appeared! CARTUNESTRA! 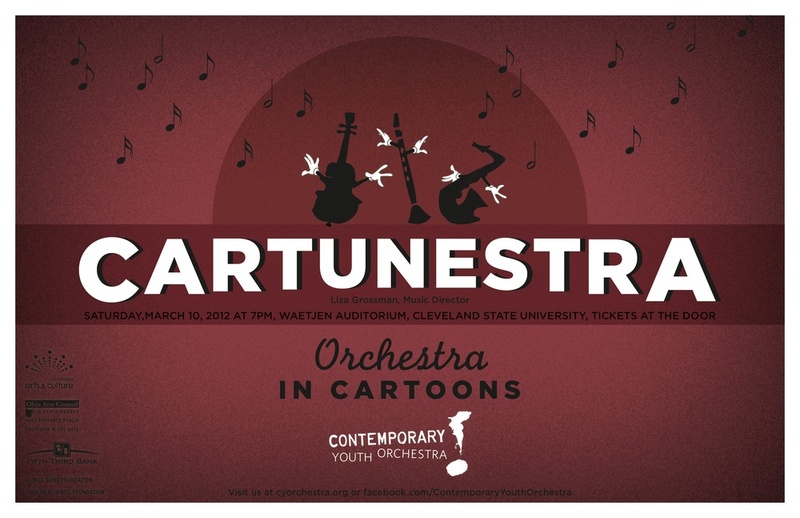 We will do an entire concert of ORCHESTRAS being the featured character(s) in cartoons. YES! so excited. I remember as a child seeing orchestras featured every Saturday morning in cartoons - it was just a natural, expected theme. What a fun way for children to learn about the instruments! So I am off to make this program happen. From the podium of the Contemporary Youth Orchestra, the future is looney.